At Bright Gas we want to make sure that you make the best decision for you and your home. Investing in a new boiler is not only a big financial outlay, but it is often a difficult decision to know whether or not you are doing the right thing. Bright Gas is a family run business, and we take pride in the quality of our work and ensure that you always provide a high quality honest advice to every customer. We take a conscientious approach to installation of new boilers, but even more so the advice we give to every customer. Our 30 seconds boiler quote is a great tool that can advise homeowners on exactly what boiler would work for your home and the benefits of each one. It simply asks you what type of property you live in? how many bedrooms you have and the number of bathrooms you have. It then generates the two most appropriate boilers for your property, each fitting into two different price brackets. After you’ve used our quote generator it is still important to talk to your Batley boiler engineer to make sure you’ve made the best decision for you and your home. We’ve put together 3 essential questions to ask any heating engineer before you replace your boiler. Is it better to repair or replace my boiler? Based on the two quotes you receive it is important to make your decision on what will financially benefit you in the long run. Repairing your current boiler may save you money in the short term but in the long run may cost a lot more money than a new boiler. Am I getting the best boiler for my home? It is always best to check with a heating engineer that you’re making the best decision for both you and your property. You want to get a boiler that is more economical to run in the long term, whilst providing adequate heat. On average you should ask for 3 quotes from different heating engineers, but don’t simply go for the cheapest as this may cost you more money in the long run. Check its energy rating and manufacturer guarantee. Will this boiler help me financially in the long run? It is always best to check with your Batley heating engineer that you’re making the best decision for both you and your property. It is important to get a boiler that is economical to run in the long term, whilst providing adequate heat. Plus it is important to check the manufacturer guarantee, as if something goes wrong in the future you might not need to fork out for the repairs as it is already covered. As accredited installers of Worcester, Baxi and Viessmann, we can help you get a new boiler, which is easier and more cost effective than you may realise. Talk to our team today to find out how we can help you! Call 01924 631177 to talk to our friendly team today! Meet the new Bosch EasyControl – making things simple! Want to heat your house before you get home from a weekend away? Turn off the heating in an unused bedroom? Check your energy use anywhere from your phone? The new smart connected heating and hot water thermostat from Worcester Bosch makes everything easy and gives you complete control. EasyControl makes your heating system smart, even if it’s an older system. As Worcester Bosch partners we can control the new EasyControl in your home with ease and allow you to enjoy the latest technology that smart thermostats have to offer. It gives you complete control and flexibility with how you heat your home. We promise you that it really is easy to use! Not only can EasyControl saves you money on your heating bills but on your hot water too. It does this by providing three simple options, hot water at any time, program the hot water function to times which suit you or off. It gives you the homeowners control like you’ve never seen before! 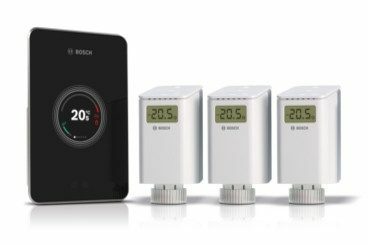 With EasyControl and Bosch smart radiator thermostats (Smart TRVs) you can easily control the heating in each individual room to give maximum comfort when and where you want it. Let the EasyControl take over. Using the latest technology, the thermostat automatically turns the heating down if you’re no longer in the house and detects when you’re returning home, turning the heating up to your desired temperature. The app provides you easy-to-understand graphs on your gas consumption for heating and hot water – it even has the ability to include current gas prices to give you accurate readings. The display shows how efficient your heating programmes are, so you can adjust setting to keep energy use at an optimum level. Available in black and white, the wall-mounted controller has a modern, sleek design, making it a stylish addition to any home. Furthermore, the EasyControl features a colourful Ambi light that shows you what your heating is doing at a quick glance. To find out more about the new EasyControl system for your home then talk to one of team today! Call 01924 631177 to talk to our friendly team today! At Bright Gas we want to help you make the right decisions when it comes to heating your home. As a family run business, we take pride in the quality of our work and ensure that you always provide a high quality honest advice to every customer. We’ve put together our top 5 essential tips to ask any heating engineer before you replace your boiler. After all, you might not need a new boiler or there may be a more affordable cost to fixing your current boiler. Is my existing boiler unsafe? Your personal safety must come first. If your heating engineer has highlighted any concerns over the safety of your existing boiler, you need to clarify how serious these concerns are. Make sure you ask your heating engineer for a full report on the condition of your boiler and whether or not they think it is safe to use. Is my existing boiler still under guarantee? Depending on when your current boiler was installed, it may still be covered under a warranty. The boiler guarantee is a contract between you and the boiler manufacturer to attend your property and repair or replace the boiler within a reasonable period of time without quibble. The guarantee is legally binding on the manufacturer and improves your consumer rights. 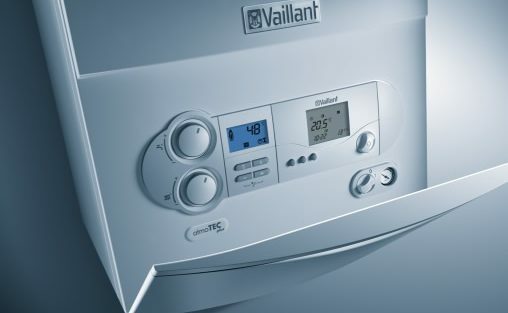 The quickest way to find out if your boiler is still under its guarantee is to write down the make and model of your boiler and contact the manufacturer. Some companies provide up to a 10 year guarantee. What is the guarantee on my new boiler? If a new boiler is the only feasible option it is important to ask your heating engineer what guarantee is provided by the manufacturer. It is important to check how long the guarantee is for, and whether this covers parts, labour or both. Tip: Check the wording! You are looking for a guarantee, not a warranty. A guarantee holds more rights in your favour. Is my boiler automatically registered for its guarantee? By law, at the end of your installation, two things need to happen, 1 – Your boiler needs to be registered with the manufacturers to activate its guarantee; 2 – Your new installation needs to be ‘notified’ to the Gas Safe Register. This process proves the installation has been carried out by a qualified entity. Typically the installer does this, but it is important to check it has been done. Worcester Bosch is an instantly recognisable name to most people in the UK, with many people immediately think of boilers when they hear the name. Worcester Bosch often provides homeowners with peace of mind when they are upgrading their home heating system, especially with the 10-year warranty available on most of their boilers. Plus, as Worcester Bosch Boilers are the winners of “Which? Best Buy” for 4 years running, it means that they recognised for what they do too. Why do we use Worcester Bosch? At Bright Gas we’ve worked with Worcester Bosch for a long time and really trust their products. Worcester Bosch boilers provide a high level of performance and are very energy efficient, meaning that they’re cost effective for you to run. We understand that a new boiler is an expensive cost, whether you’re paying it upfront or over a fixed term, so we want to install boilers that are not going to cost the earth to run. Who’s seen the new Worcester Bosch #WarmAsWorcester TV advert? At Bright Gas we are proud to be a Worcester Bosch Accredited Installers. What does this mean? We can give you an extended guarantee up to 10 years on your new boiler. Worcester Bosch are wanting to help as many people create a warm and comfortable home and with their new A rated boilers it makes heating your home a lot more affordable. BE #warmasworcester and find out about how we can help you get your new boiler. We trust Worcester Bosch to provide reliable boilers for your home that last for years to come. We install their Greenstar range of combi, conventional and system boilers. So, no matter what type of boiler you need, you have the option of a Worcester Bosch boiler in your home. At Bright Gas we understand that investing in a new boiler is a serious investment. That’s why we make sure that all boilers are individually designed and installed to suit your property and your specific needs. Your boiler is the heart of your home; heating up radiators, providing hot water for baths and showers and keeping you warm and comfortable in your home. So it’s important that you get everything perfect. So, you can be #WarmAsWorcester with a brand new Worcester Bosch boilers in Dewsbury. What can Worcester Bosch accredited installers offer me? As accredited installers of Worcester Bosch boilers in Dewsbury and the surrounding areas, we can helpyou get a new boiler, which is easier and more cost effective than you may realise. Talk to our team today to find out how we can help you! Call 01924 631177 to talk to our friendly team today! We’re supporting Worcester Bosch’s #WarmAsWorcester campaign. The unusually cold weather we’re currently experiencing in the UK is starting to play havoc with boilers throughout the area. Many of us are waking up to find that we have no heating or hot water on a freezing cold morning. If this is you, you may find that your boiler is flashing up an error message on its screen, making strange gurgling noises and just not come on at all. Typically, not much stops a boiler’s condensation freezing over, but in the most extreme weather if can often be difficult to prevent, even if your boiler is performing at 100%. What is a condensing pipe? Typically, condensing pipes are small pipes on or near an external wall, usually about 4cm in diameter, which connect to your boiler. They’re often white and plastic. If they freeze then the condensate pipe will build up and then back up into the boiler – which will prevent it from working. At Bright Gas we ensure they all condensing pipes are fitted internally where possible, if it’s not we run the shortest steepest route to the nearest drain. Why does my condensing pipe freeze? The water dripping through the pipe can freeze in cold weather, preventing it from draining away. When this happens, the boiler will shut down. To fix the problem the frozen water needs to be cleared. So, what do I do when my condensing pipe has frozen? You may have seen many people online suggesting pouring boiling water on a frozen condensation pipe, but whatever you do PLEASE DO NOT DO THIS! Pouring boiling water over your boiler condensing pipe often leads to damaged pipes and create a bigger problem than before. It’s really important to contact a professional Gas Safe registered engineer to defreeze a condensation pipe. How can I prevent my condensing pipe freezing? If you’re concerned about your condensing pipe potentially freezing over then at Bright Gas we do have ways to protect your pipes. At Bright Gas we can provide you with a quote to upgrade your condense pipe to a larger diameter and completely insulate it or where possible, have it rerouted internally where possible. Unfortunately, a lot of boiler engineers have installed condensing pipes so they are on the outside of the property, which in very cold weather causes them to freeze and block the condensing pipe. If you’re struggling with a frozen condensing pipe, then call Bright Gas today and our team will advise you on what to do next or advise you on how to prevent it from happening again. Call 01924 631177 to talk to our friendly team today! As you’ll be aware, whenever the government has decided to introduce new legislation it has the potential to cause a period of upheaval. The recently introduced Boiler Plus legislation is due to impact all homeowners who have or need a boiler, so it’s important that you understand what all this talk of new rules means for you. Boiler Plus is new legislation that is due to be launched by the Department for Business, Energy and Industrial Strategy; it is designed to encourage energy efficiency, which is meant to help us use less energy and lower our carbon emissions. The notable point for all households is that this policy will require a new minimum performance for domestic gas boilers. This means that, potentially, your current boiler will need to be replaced with haste. The minimum performance standard for all domestic boilers will be 92% ErP. The aim of the ErP directive is to remove inefficient products from homes to reduce carbon emissions Europe-wide. With the arrival of the Boiler Plus legislation, costs for a new boiler are suddenly going to increase. If you know that your boiler is inadequate, costs are going to be swiftly raised by the time you end up changing your boiler if you don’t change it now. With that in mind, it’s time to consider your options. It’s obviously crucial for you to avoid the rise in costs if you’re going to have to acquire a new boiler sooner rather than later. Fortunately, there is one easy way that you can avoid paying excessive amounts for your new boiler: get your quote today to avoid the impending legislation price increase. Old, inefficient boilers cost a fortune to run; you’re essentially pouring money down the drain. Why do you need to upgrade your boiler? An old boiler won’t heat the home: If your boiler is outdated and ineffective, it isn’t going to be able to heat your home, or if it can, it will do so slowly and expensively. The older the boiler, the higher the bills: When your boiler is well past it’s heyday, it starts to cost a fortune to run. Although your home isn’t adequately heated, you still end up paying significant amounts to attempt heating your home. If you’re aware that your boiler is no longer pulling its weight, and you’re considering purchasing a new boiler soon, use our quote calculator today. The calculator will accurately tell you how much your new boiler is likely to cost. Remember: if you think your boiler is on its way out, replace it before the new legislation comes in; you don’t want to have to pay a fortune because you left it too late! If your Batley boiler is groaning and your wallet is mysteriously hollow, it might be the right time for you to invest in a new boiler. Even though we’re quickly coming up to the end of winter, we end up with bad weather all year around in the UK; no matter what time of year it is, you’re going to need a boiler that you can rely upon to heat your home. Your boiler makes strange noises: If your boiler heating up sounds like a grumbling zombie from a horror movie, there’s definitely a problem. A boiler that’s working well should heat up almost silently, so you’re certain to recognise when there’s a real issue with your boiler. Although it’s not guaranteed that you’re going to need a new boiler, it’s vital that you get somebody to look into the issue to ensure that you’re safe with your current one. Your fuel bills are excessive – and increasing: Heat bills are expensive, and they’re only going to increase when you have a problematic boiler. As a boiler ages, it gradually becomes more difficult – and expensive – to run; you can end up paying an eye-watering amount of money for the energy that you have to heat your home with. Switching to an energy-efficient boiler can end up saving you 30% on your energy bills, a hugely significant amount of money that you could be spending on other elements of your lifestyle. Your property is never heated, no matter how long the heating is on: If your heater is old and ineffective you’ll likely notice that your home never seems to heat up no matter how long you have the heating on for. An ageing system can render your radiators useless, meaning they’ll be incapable of heating a home eventually. With a hopeless boiler and inoperable radiators, you’re going to be paying for energy that you aren’t actually getting, so it’s important that you invest in a new boiler as soon as possible. Although purchasing a new boiler might seem like an expensive investment, it holds numerous benefits including the fact that you’d eventually have saved money by buying a new boiler. With a new boiler, your house will heat up faster than ever before; you won’t be waiting hours for your home to heat up anymore. Your heating bills are going to be cheaper, so you’ll end up saving money by choosing to purchase a new boiler for your home. If your boiler is exhibiting any of the three points that we’ve explained in some detail above, you need to consider updating your boiler whenever you get the chance. If you’ve decided that you want a boiler, but you’re not sure how much it’s going to cost, consider using our instant quote generator. The generator will tell you how much the project to install a new boiler will cost, so you can see how much money you would save by purchasing a new Batley boiler. When you’re in the need of a plumber in an emergency, it is important to know that you have someone to rely on. At Bright Gas we have a comprehensive emergency plumbing plan in place, meaning that when you’ve got an emergency we’ll be there. The key to reducing potential damage is to act quickly. By contacting Bright Gas we can have an emergency plumber to your property right away when a situations occurs; plus you can keep the cost of repairs to a minimum and get your house back to normal as soon as possible. Unfortunately in the cold winter months our homes and properties are susceptible to freezing conditions, meaning that frozen pipes are a concern to most. Typically, you will realize you have a frozen pipe because the water stops flowing to the faucets inside your home. 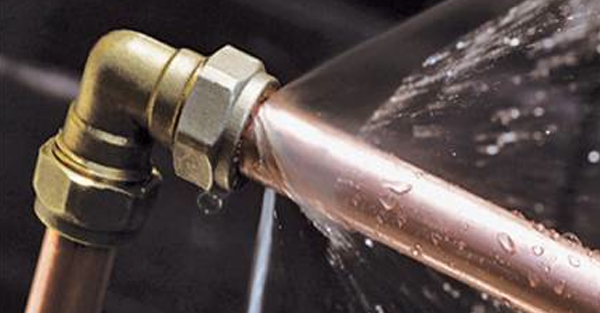 Don’t make the mistake of trying to heat the pipes yourself to get water flowing again. A qualified plumber will know the proper procedures to un-freeze the pipes, as well as insulate them to avoid future incidents. A burst pipe can cause chaos in your home or work place as a major amount of water can be lost in short space of time. Depending on what pipe in your home has busted, and where you risk damaging your valuable possessions. Rather than attempt the repair yourself, which could result in further damage, it is important to get a qualified professional on the case. Drains are something you hardly ever need to think about, as they’re almost always working. However, if you have a drain that starts to back up and overflow out of the sink, it can quickly become a problem. An emergency plumber will know the most likely spots for the clogs to occur, and will have the proper tools to remedy the blockage. Nobody wants water to be running loose in their home or pipes to become blocked. To prevent damage to your home it is important that you call an expert fast. If not any damage caused may be expensive, it can take many hours to clean up the mess, and valued personal belongings can be damaged. If you need an emergency plumber kirklees make sure Bright Gas are your first call. 01924 631177. Can I afford a new boiler? Does your boiler seem to break down at the most inconvenient moments? There’s nothing worse than having to wait in the cold for a heating engineer to fix your boiler. Boilers have a habit of not playing ball and breaking down unexpectedly, but all too often it’s because the boiler is old. If a boiler is over ten years old, then it’s time to seriously think of replacing it. Unfortunately, once boilers reach 10 years old they simply do not operate as efficiently as they used to. It’s not down to manufacturers sneaky tactics, but purely due to everyday wear and tear. Just think, 10 years is almost 4500 days; all of a sudden it puts it in perspective. An old and inefficient boil means that you’re spending more money on your heating bills than you need to. A new boiler sounds like a big investment, but the benefits quickly add up. A new boiler will be far more efficient and you’ll save money on fuel bills. According to the Energy Saving Trust, you could save up to £360 a year by updating to a much more efficient new boiler. With Bright Gas you could have it fitted straight away with nothing to pay for 12 months, and opt for a payment plan that makes a new boiler much more affordable than you might think. Plus, with a 10 year manufacturers guarantee you can avoid expensive repair bills if anything were to happen to your boiler. Which, let’s be honest typically land on our doormat when we’re struggling the most. At Bright Gas we’ve got a brand new online tool to generate an instant quote for your new boiler. You can find out exactly how much a new boiler will cost you in just 5 clicks, it really is that simple! Get your instant boiler quote here. We’ll recommend a range of boilers at different price points for your property, talk you through each one so you fully understand your options and then our fully qualified engineers will fit and service your boiler to ensure it keeping it running right for years to come. Getting a new boiler can be a lot easier and cost effective than you may realise. Talk to our team today to find out how we can help you! Call 01924 631177 to talk to our friendly team today! At Bright Gas we are a local plumber providing plumbing and heating solutions to homes in and around the Dewsbury area, including Mirfield and Ossett. As a family run business, we take pride in the quality of our work and ensure that we always provide a high quality services to every customer. Covering all aspects of plumbing and heating, our combination of experience and industry standards know-how enables us to deliver outstanding results on every task. When out on jobs we are often asked if we can fix additional plumbing issues, and most of the time the answer is yes! At Bright Gas we are a family run business operating in our home town, so we want to be able to help the community around us, after all we don’t know when we’d need help from someone else too! We are able to complete numerous small plumbing jobs. From outside taps to leaking sinks to tap washers we do it all and we treat the small jobs as important as the bigger jobs, such as boiler installations and emergency plumbing repairs. Have you got a plumbing job that’s not on the list? Not a problem, call us on 01924 631177 or email info@brightgas.co.uk and a member of the team will be able to advise you as to whether or not we will be able to help and if we can not, we will advise you as to who might be able to help you. We take a conscientious approach to smaller installation, repairs and maintenance work in your home, delivering great results with minimal disruption for you and your family. We provide a reliable and affordable solutions for general local plumbing solutions and arrange everything around you. After all, you want a plumber that can work around your busy lifestyle . “Extremely pleased with the work carried out by Bright Gas, especially the engineer that came to my house. I had a number of small plumbing jobs that needed doing, a radiator moving in my bedroom and also changing the washers on a dripping tap in the bathroom. I booked an appointment with Bright Gas and they were able to complete all of my little projects in the same day” Paul Watson, Gomersal.